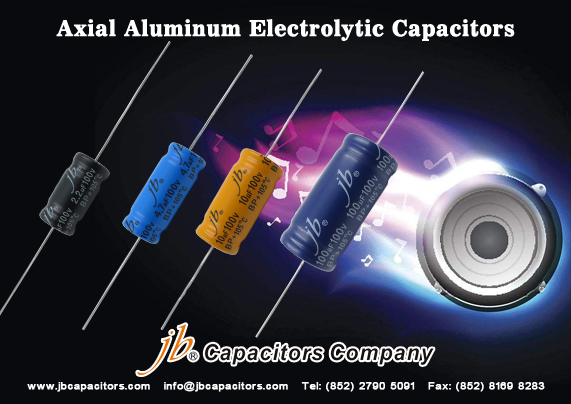 Recently, jb Capacitors Company developed few series of axial aluminum electrolytic capacitors, especially for audio system. High quality commitment, competitive prices supported during Spring Season. 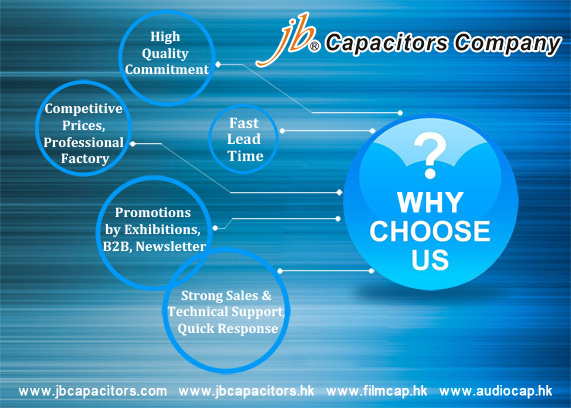 Any interest, please don’t be hesitate to contact our sales for best quotation. We are ready here to offer you great services. 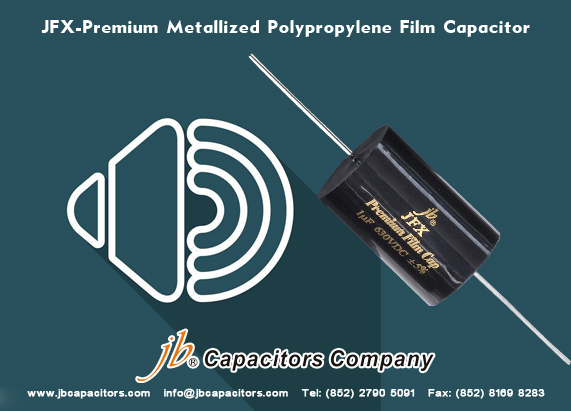 jb capacitors produce below JFX series---Premium Metallized Polypropylene Film Capacitors, Axial lead. 1. 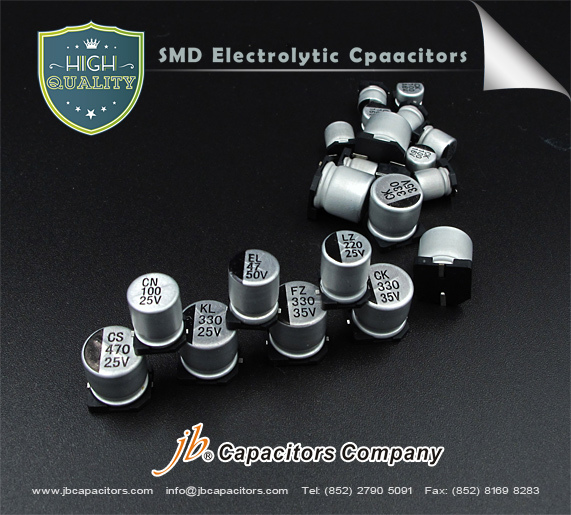 Cross to Mundorf, Auricap,Erse, Mallory,Jantzen Audio, etc..audio capacitors. 2. 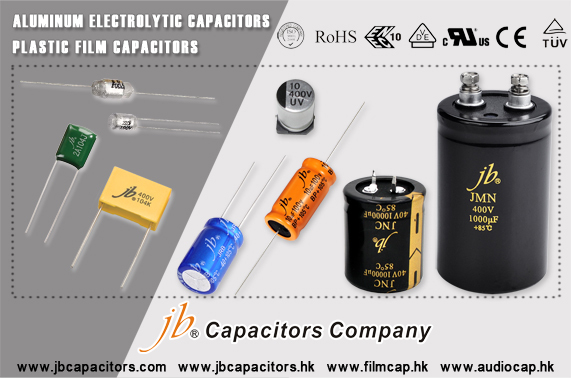 Capacitance up to 300uF. very wide range. 3. Precise Tolerance: +/-10%, +/-5%, +/-2%, +/-1%. 4. Low MOQ: 100pcs each. 5. Top quality, excellent sound performances. 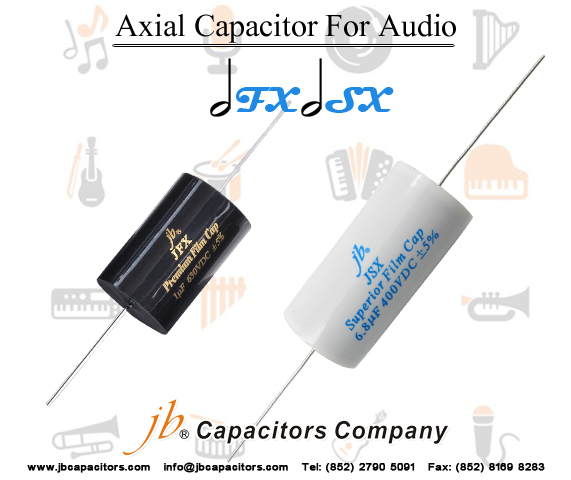 6. specially used for, amplifier, cross-over, loudspeakers. 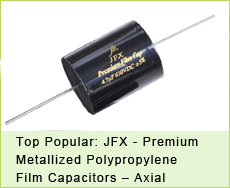 We are looking for distributor for JFX series high quality audio film capacitors. Do you have interests ? 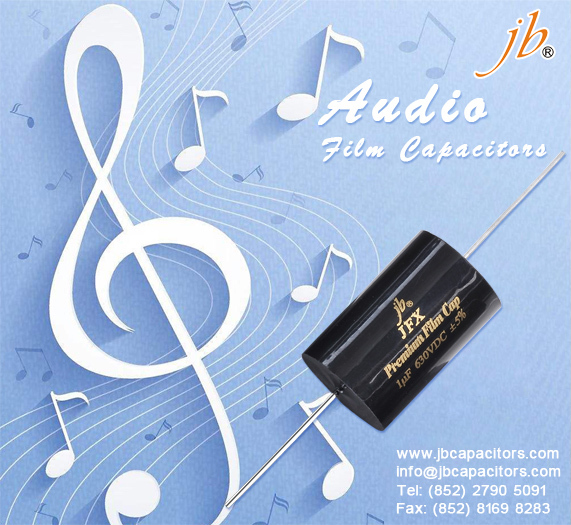 JFX series is specially used for high end audio products, have excellent sound performances. 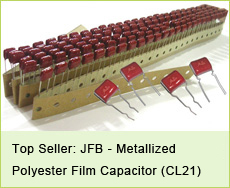 many customers buy our JFX used for high end amplifier, cross-over,loudspeakers, or high frequency networks. Our quality is high, even Mundorf want us OEM for them to creat a new brand to sell our JFX series, but we refused as we focus on our own brand. 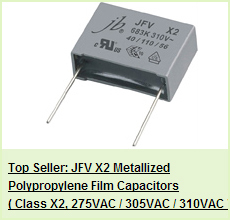 To support you win more markets, we support 100pcs trial order. And we have below free stock samples for your testing. Below items are also the most popular values our customer use.